I wish you a very happy Tuesday morning. If we have a look at the music played at the runway shows and after parties of international fashion weeks Paris, Milan, London, N.Y., Miami, everywhere around the world, one famous name shows up in all programs: Bob Sinclar, himself a fan of DSQUARED2. 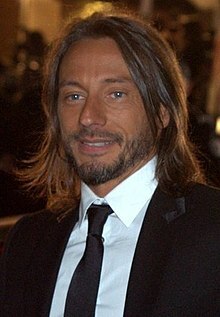 Christophe Le Friant (born 10 May 1969), better known by his stage name Bob Sinclar, is a French record producer, house music DJ, remixer and the owner of the record label Yellow Productions. Christophe Le Friant began DJing in the 1980s under the name Chris the French Kiss. During this time he was more influenced by hip-hop and jazz music and created music projects such as The Mighty Bop and Reminiscence Quartet, this one with an ensemble of musicians. Le Friant used the alias Desmond K in the Reminiscence Quartet. Le Friant adopted the new name of Bob Sinclar in 1998 (hero from the film Le Magnifique). He became known for popularising the “French touch” of house music with heavy use of sampled and filtered disco strings. He describes his musical style as inspired by “peace, love, and house music”. Several of Sinclar’s songs have become international hits, being particularly popular in Europe. Some of his most popular hits include “Love Generation” (with Gary Pine) and “World, Hold On (Children of the Sky)” (featuring Steve Edwards). In 2006, Bob Sinclar received the TMF Award Best Dance International (Belgium). Here’s Bob Sinclar with Supermodel Gisele Buendchen performimg the song “Heart Of Glass”. Bob Sinclar Party at Gotha Club, Cannes featuring FashionTV President Michel Adam | FashionTV. DJ Bob Sinclar, Ciara & Natalia Kills at Dsquared2 Party – The Ritz, Paris | FashionTV – FTV. Bob Sinclar at Fashion’s Night Out, Milan Fashion Week .